Hello beautiful people! Weekend is finally here and it’s story telling time at BlogAdda. This week’s #AddaTales prompt was- “I Found A Bag Full Of Rs 1000 Notes” since the introduction of new currency notes and cancellation of Rs 1000 has created a big buzz in our nation. Let’s dive into the pool of stories that teach you something valuable. 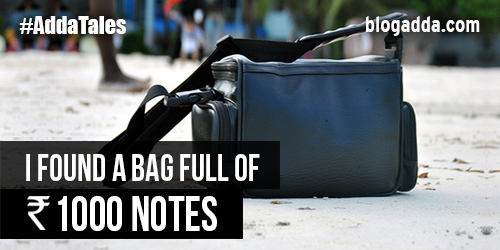 Our storytellers didn’t leave a single chance to spread across a social message through their interesting tale of a bag full of Rs 1000 notes. Wedding bells ringing in your home? The anticipation that everything goes well in the wedding is one constant and single thought in your mind. It’s not just a day affair, but the planning starts with so many weeks prior, for the big day! You put in so much effort, expenditure and planning to turn your dream wedding to reality. The whole sight is filled with lavishness, decorations, music, family get together and elaborate preparations. But, what if there’s something that bothers, after all things go well? 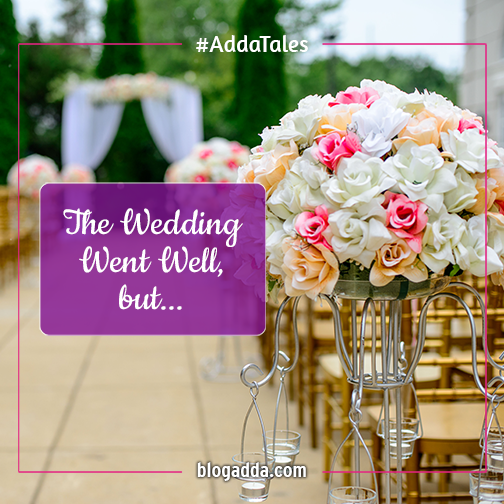 This week’s #AddaTales prompt was-“The Wedding Went Well, but…” and yet again our voracious story writers, wrote a perfect story for us! Let’s read through an interesting wedding tale, woven by our twitter bugs! Diwali is the festival that holds a big significance in the lives of people. Diwali is all about shimmering diyas, glowing lanterns, beautiful rangolis and treasure for the sweet tooth! But, what’s more exhilarating is, to celebrate Diwali with your family and loved ones! The perfect and most auspicious time to be with your family. 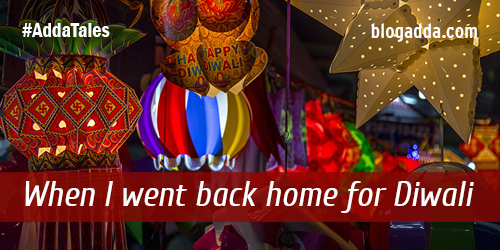 This week’s AddaTales prompt was- “When I Went Back Home For Diwali” and this time it was all about Diwali and its glimmer. Let’s get ready to read a perfect Diwali celebrated tale, weaved by our Twitteratis! Here’s a beautiful festive story! It’s story writing time here at BlogAdda as we are back again with another prompt for our #AddaTales session! This weekend, things got really Sci Fi as aliens visited us, this time for real. 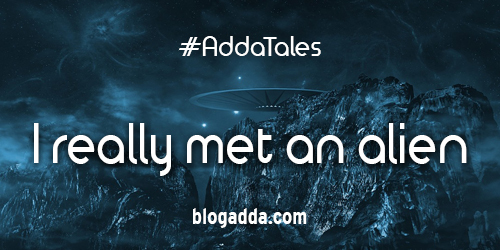 This week’s #AddaTales prompt was- “I Really Met An Alien” and it was all aliens and spaceships here at our Adda! As usual, our weavers of magic didn’t leave any stone unturned in creating one of the best fictions ever for us. Want to see what their final masterpiece looks like? Here you go! First times always come with their own quota of fluttering butterflies, excitement and the bliss of the unknown. When in love, the first time, when the eyes meet and the heart skips a beat, is etched forever on the pages of our love story. 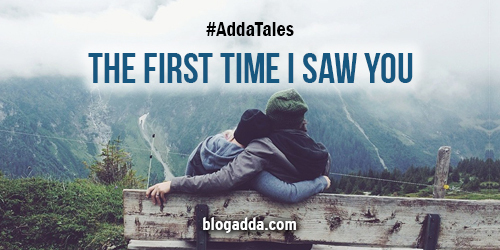 This week’s #AddaTales prompt was- “The First Time I Saw You“. Do you remember the first time you saw your life right in front of you or pass by you? This week eyes met at #AddaTales and a saga was born. Would you like to peep into the final creation by our Twitter bugs? Here’s a romantic story for your weekend! Hello lovely people, we are back again with this week’s #AddaTales to rejuvenate your weekend a little bit more. 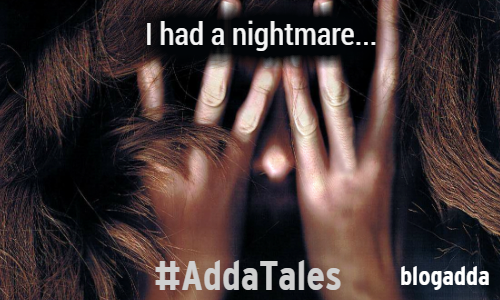 This week’s #AddaTales prompt was, ‘I had a nightmare’ as we all have had one nightmare that with a single thought still send us into shivers and goose bumps. Visions that gave us night terrors often send us into haunted holes, scary and lonely. Yet again we had participants on twitter, who were all set to put on their creative mode and weaved a thrilling story. Are you all ready for this week’s story? Well, let’s get going for a gripping read.